Who doesn't need some essentials from time to time? Well, for this season Clarins goes back to basics with a range of makeup products that cannot go missing in your beauty stash. Starting from the Pallettes 5 Couleurs Pretty Day and Pretty Night, two limited editions warm chromatic scales of eyeshadow that, indeed, get every situation covered. Featuring matte and satin eyeshadows, Pretty Day and Pretty Night allow you to achieve so many looks that you won't get tired testing them. All the five colours of each palette has a soft and delicate textures, are enriched with pure plant and miner extracts that delivers total comfort and a nice pigmented touch and apply smoothly and easily without any fall-out whatsoever. Another eyeshadow of the range that I simply adore is the Ombre Matte in Carbon, a new shade of intense black that delivers a dramatic look in few easy steps. I usually work it in the lids with my finger, for a cloudy smoky eye that is perfect of evenings, or use it with an eyeliner brush to tightline the lash lines. Indeed this eyeshadow offers all the smoothness of a cream with the control an lasting power of a powder. 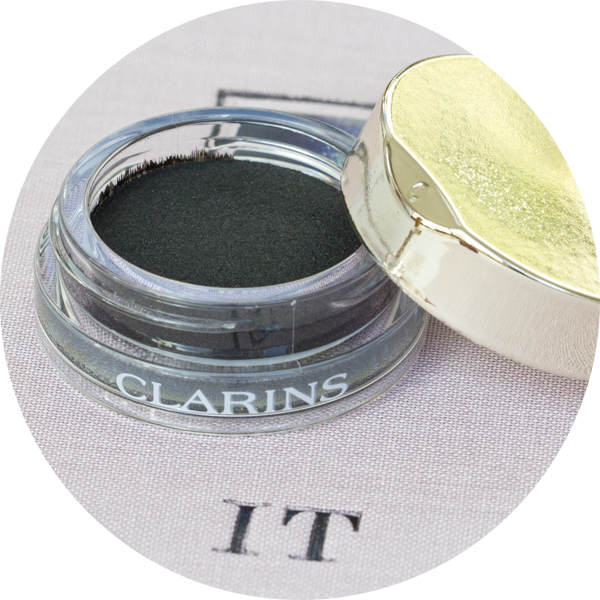 Moving to the brows, another essential is stealing the show: the Crayon Sourcils has been reformulated and now it’s easier to apply thanks to a creamier textures, it doesn’t move at all for all the day and delivers a very natural finish. Moreover, the new soft spiral brush, grooms, tames and blends the hair for a perfectly-arched brow. Obviously the Fall 2015 Collection features other products (like two shades of Crayon Khôl, the Be Long Mascara, two Rouge Eclat Lipsticks) but those are so far my favorite. I think of them like a passe partout that I’ll be using, indeed, night & day for all this season. L’essenziale è invisibile agli occhi? Chez Clinique si declina in una collezione indispensabile composta da una gamma di prodotti passe-partout che sorprendono tanto per la loro semplicità quanto per la loro raffinatezza. Prime fra tutti, le Pallettes 5 Couleurs Pretty Day e Pretty Night, due scale cromatiche in edizione limitata che, declinando i colori caldi dell’autunno in sfumature più soft o più intense, si prestano ad ogni occasione. Fra toni matte e toni satinati, tutti e cinque i colori di questetavolozze hanno una texture morbida e delicata, sono arricchiti con estratti vegetali e minerali puri che offrono il massimo comfort, un ottimo riscontro cromatico e un’applicazione facile e veloce senza sbavature. Un altro ombretto della gamma che semplicemente adoro è l’Ombre Matte in Carbon, una nuova tonalità di nero intenso che garantisce uno sguardo drammatico in pochi semplici passi. Di solito lo applico sulle palpebre usando la punta delle dita, per ottenere uno smoky eyes “cloudy” perfetto di sera, oppure lo stendo con un pennello da eyeliner per intensificare la radice delle ciglia. Il suo punto di forza? Il connubio fra la levigatezza di un ombretto in crema e il controllo e la durata di uno in polvere. Per quanto riguarda le sopracciglia, un altro prodotto essenziale si fa strada nella collezione Autunno 2015 di Clarins: il Crayon Sourcils, riproposto con una nuova formula è più facile da applicare, non sbava ne’ sbiadisce e offre una finitura molto naturale. Inoltre, il nuovo pennello a spirale è perfetto per domare anche le sopracciglia più ribelli. Ovviamente, la collezione Autunno 2015 offre altri prodotti (come le due nuove tonalità di Crayon Khôl, il Mascara Be Long, due rossetti Rouge Eclat), ma quelli sopra citati sono finora i miei preferiti. Mi piace pensare a loro come un passe-partout che userò, infatti, Night and Day per tutta la stagione.